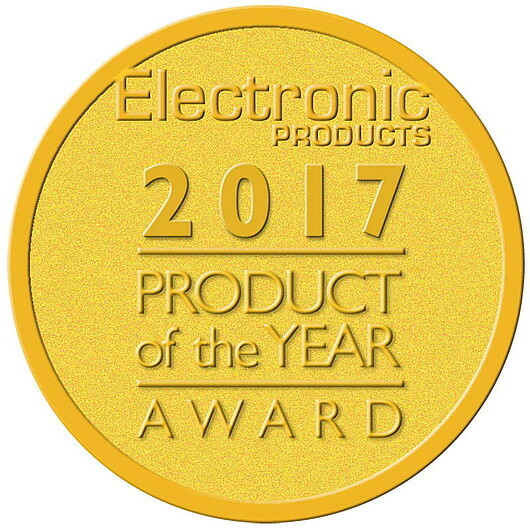 Wibu-Systems, an innovative security technology leader in the global software licensing market, announced today that it was honored by Electronic Products magazine with one of the twelve Product of the Year awards for its Blurry Box cryptography technology. The editors of Electronic Products, which is owned by the media group AspenCore, undertook a rigorous vetting process of products launched in 2017. For this 42nd edition of the annual prize, the winning products were selected from among thousands of submissions on the basis of innovative design, significant advancement in technology or application, and substantial gain in the price-performance ratio. Software can be a significant part of product development, but that investment is often altogether too easy to steal through simple copying. Yet preventing such copying can be difficult, especially when a product is out in the field, where it is subject to physical as well as cyberattacks. Wibu-Systems’ Blurry Box cryptography safeguards software publishers from intellectual property piracy, product counterfeiting, software reverse engineering, and code tampering. Using a combination of seven published methods (creation, modification, and encryption of code variants, insertion of traps, decryption delays, choice of the code variant and state of the engine in the dongle), the Blurry Box scheme makes code theft more expensive than software development. With such complexity, a would-be attacker would find it easier and less expensive to develop similar software from scratch than hacking the original software. Encryption schemes typically follow the “security by obscurity” convention where they are based on unpublished methods that can neither be evaluated nor compared with one another. Blurry Box, on the other hand, is based on Kerckhoffs’ Principle - "A cryptosystem should be secure even if everything about the system, except for the key, is public knowledge". Blurry Box has been integrated into Wibu-Systems’ CodeMeter protection, licensing and security platform. It extracts, duplicates, modifies, and encrypts individual functions, selects variants, and takes the flow of the program into consideration. Traps and decryption delays stop brute force attacks. The technology was proven to be unbreakable during an international hacking contest in 2017.